Very good quality riding gloves made of high quality softshell material. 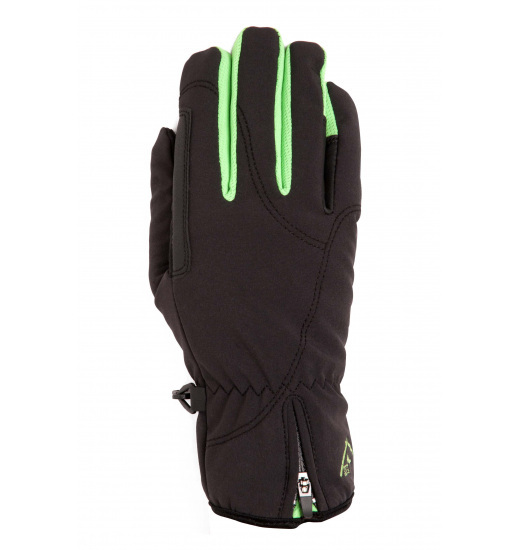 Waterproof gloves suitable great for colder days because they are lined with delicate fleece from the inside. 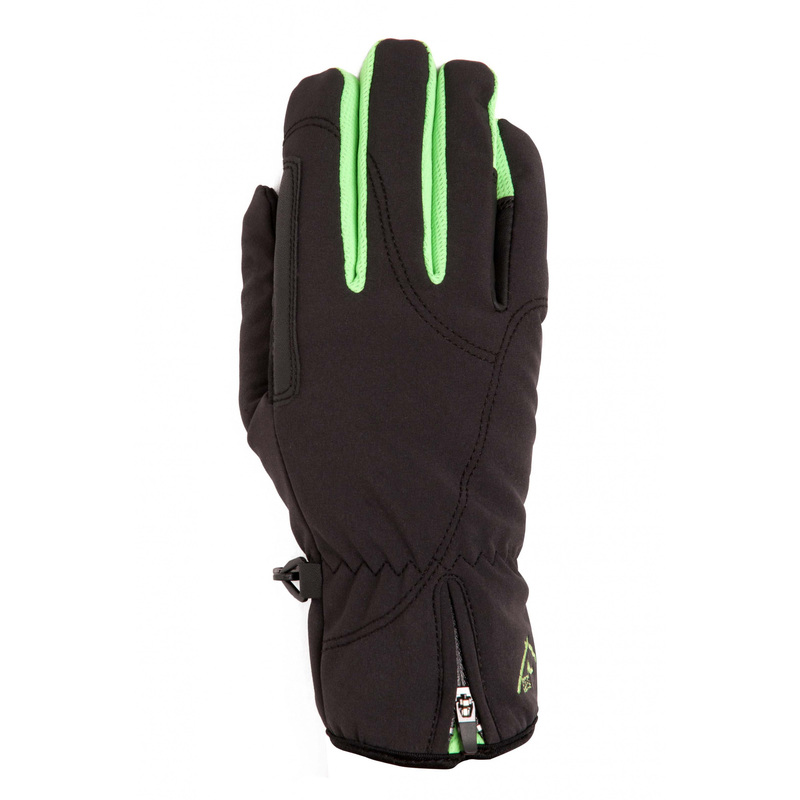 Decorative zipper at the wrist and reflective green stitching between the fingers.